Using loofah soap is a great way to remove dry skin from your body. Skip buying pre-made ones at the store. 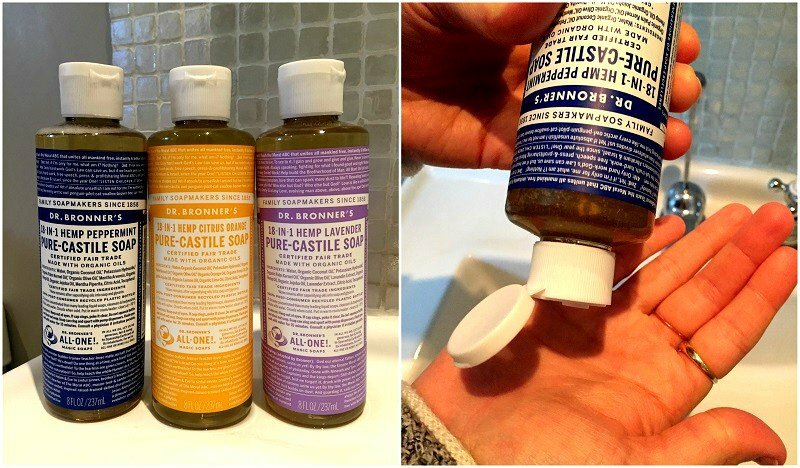 Make your own custom soaps in less than an hour. Loofahs are vegetables. In fact, they are part of the cucumber (Cucurbitaceous) family. Generally referred to as loofah or luffa, this gourd plant is edible when young. 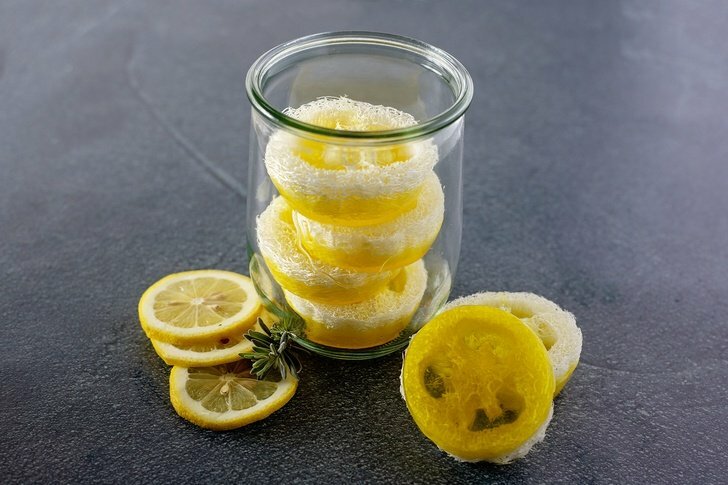 A fully ripened loofah makes an excellent natural exfoliating agent for the body and effective sponge for household cleaning. We’ve got an entire article dedicated to growing your own loofahs here. Once a ripened loofah’s skin and seeds are removed, it’s left with a skeleton of xylem fibers. The fibers become spongy when soaked in water and is used for scrubbing and cleansing the skin during bathing or showering. 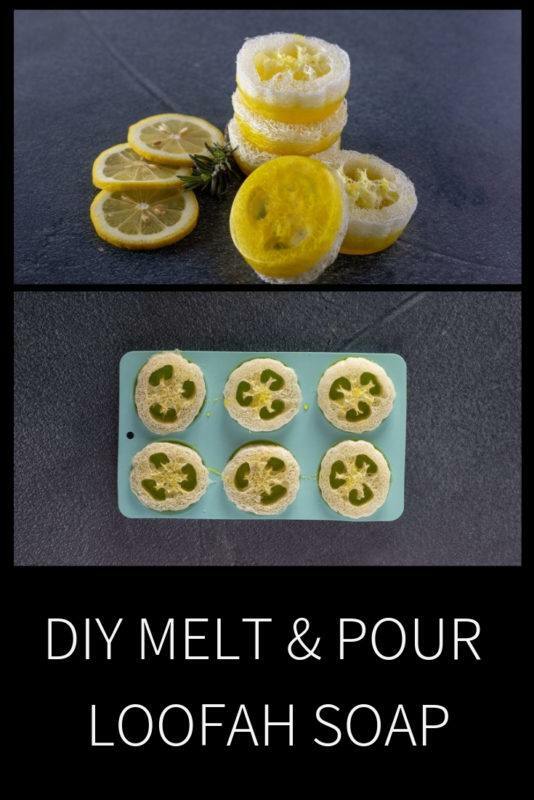 You can make your own custom loofah soaps with melt and pour soap and essential oils. Slice the loofah into 1-inch thick sections. Place the loofah slices into the silicone cupcake pan. Cut enough of the clear melt and pour soap base you will need for your cupcake pan into small cubes. Place the cubes into a glass measuring cup. Put the soap base in the microwave and melt it in 1 to 2 minute intervals until completely melted. Let the soap base cool slightly, then add in 20-30 drops of your chosen essential oil. I used Plant Therapy Lemon Oil for this recipe. Incorporate the essential oils into the soap base with the bamboo skewer. Pour the soap base into the loofah filled cupcake tins. Fill the soap to just below the top edge of the cupcake pan. If the loofahs start to float up, lay a weighted cookie sheet on top of the loofahs to hold them in place as they completely cool. Loofah soaps make great gifts. Make a few extras to share with friends and family.